How is a 7th Century Irish saint connected to Geranium? connection to Geranium is obvious, but somewhat distant. 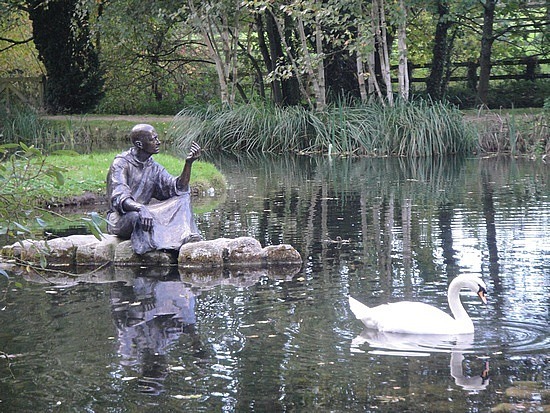 "St. Fiacre is also the patron saint of hemorrhoids." Voila! Two degrees of separation, i.e. 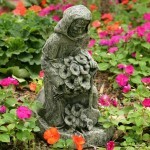 healing, and became the patron saint of gardening. fame as one skilled with herbs, a healer and holy man, caused disciples to flock to him. Needing greater solitude, Fiacre left his native land and arrived, in 628, at Meaux, France. that he soon ran out of land. St. Faro offered him as much land as he could turn up in a day. Legend has it that Fiacre drew a trench with his cane and prayed and by the next morning all the soil was turned. 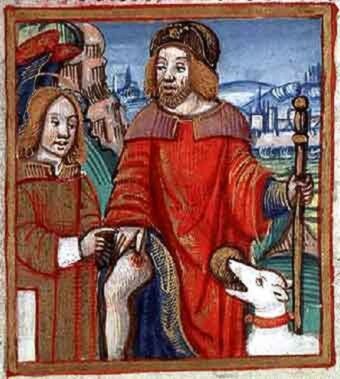 It was during this miracle that a (possibly jealous) woman went to the Bishop and accused him of working magic. The Bishop, however, upon seeing the miracle proclaimed Fiacre a Saint and the spying woman a witch! 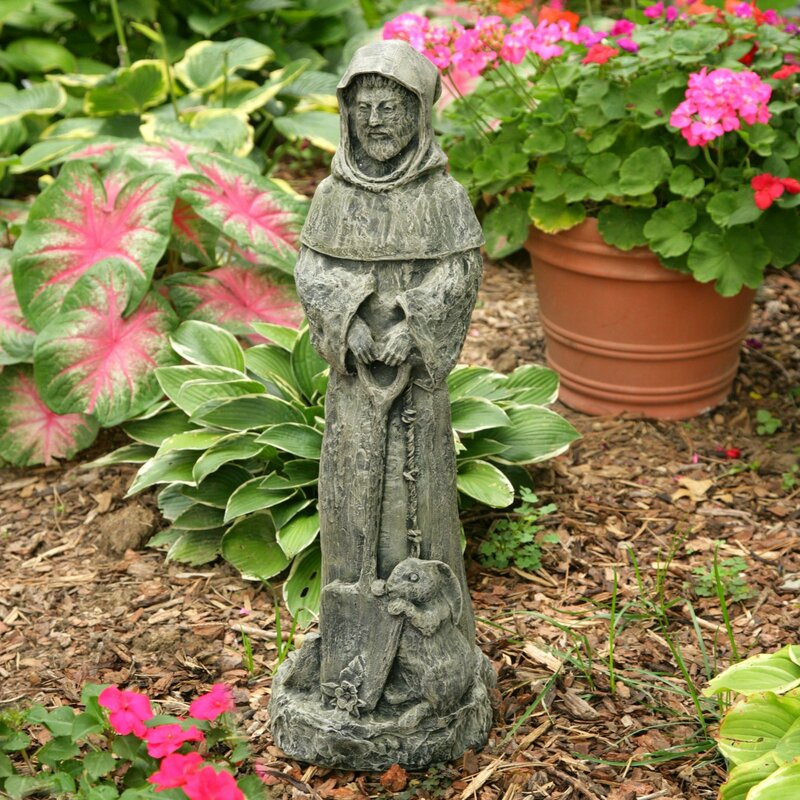 The herbs that St. Fiacre grew and their healing powers earned him the distinction of being a healer during his lifetime. Elements Applied: The root is the core component used in herbal medicine. Active Components: The plant is better to pick up before blossoming, when it contains high levels of tannins, like gallic acid. 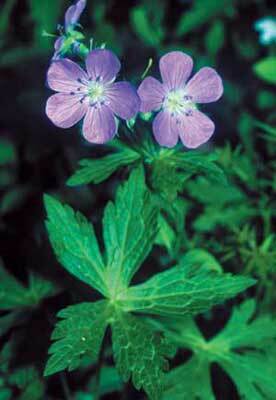 Due to its astringent characteristics American Cranesbill is applied in dysentery, diarrhea and hemorrhoids. The plant is also used in digestive system conditions which can cause bleeding, including stomach ulcer. In this case it's mixed with other herbal digestives. When faeces contain blood, the remedy can be successfully applied; still, you should visit your health-care provider first. Additionally the herb is applied to reduce menstrual bleeding, thus impeding abnormal blood loss. Externally the plant can be applied to regulate leucorrhoea. 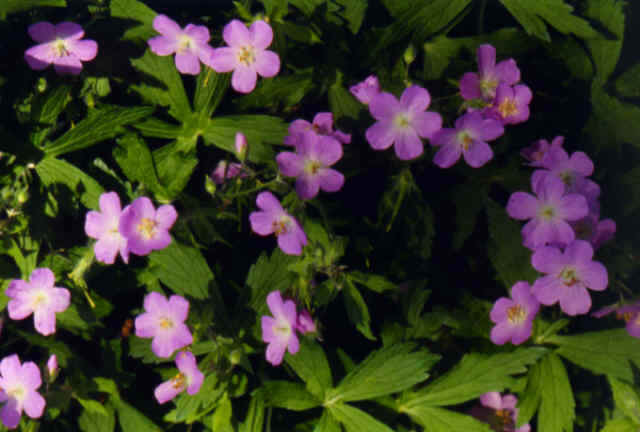 Commonly mixed with: In case of ulcer conditions Cranesbill is mixed with Comfrey, Meadowsweet, Agrimony, or Marshmallow. For leucorrhoea the remedy is used together with Beth Root. Preparation and intake: For a decoction take 1-2 teaspoons of the root extract and dilute it with cold water. Boil the mixture and infuse it for 15 minutes. The decoction is taken 3 times per day. In form of a tincture the remedy is used in a dose of 3 ml on average 3 times per day. 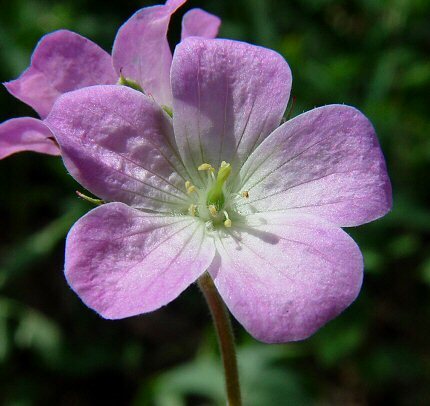 Safety: There is no data or evidence concerning the safety level of American Cranesbill. There is a possibility of interaction with chemical medicines. For this reason its administration should be discussed with a health-care provider."